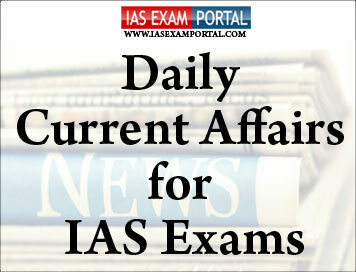 Current Affairs for IAS Exams - 26 JANUARY 2019 | IAS EXAM PORTAL - India's Largest Community for UPSC Exam Aspirants. The President of India, Shri Ram NathKovind, graced and addressed the 9th National Voters’ Day celebrations today in New Delhi. Speaking on the occasion, the President said that Indian democracy is a shining example for the world. We are both the largest and most diverse democracy. And while the contribution of all stakeholders in our election process is important, two stakeholders stand out. These are the voters and the Election Commission. In their roles, they complement each other. The President said that India’s sheer size and the logistics of elections in our country make it critical to embrace modern technology. India’s democracy and electoral system is held in high regard internationally. Election institutions of many countries have studied our electoral management system. The Election Commission of India has helped train officers and built capacities in several countries. This is a reflection of the respect for it. The President noted that the theme of Voters’ Day this year is, “No voter to be left behind.” He said that the principle behind this is very simply the principle of upholding equality of political rights and of universal franchise. A general election in a democracy is akin to a sacred ritual. He urged all eligible citizens to become part of this ritual and participate in the general election of 2019. He said that each vote will encourage another voter, and each vote will strengthen our democracy. The Supreme Court on Friday sought the government's response to a petition challenging the 10 per cent economic reservation. The plea said the quota violated the basic features of the Constitution and contradicted several judgments of the Court protecting the fundamental rights. The petition, filed by Youth For Equality, represented by advocate SenthilJagadeesan and settled by advocate GopalSankaranarayanan, contended that the Court, in a nine-judge Bench judgment in the Indira Sawhney case, had settled the law that economic backwardness cannot be the sole basis for reservation. The petition noted that the 50% ceiling limit of quota had been “engrafted as a part of the Basic Structure of the Constitution’s equality code” by the Court. It said the Court had settled the law that the “State’s reservation policy cannot be imposed on unaided educational institutions, and as they are not receiving any aid from the State, they can have their own admissions provided they are fair, transparent, non-exploitative and based on merit”. The petition also contended that the term “economically weaker sections” remained undefined in the Bill along with the “ambiguous” term of "State. The Economic Advisory Council to the Prime Minister (EAC-PM) had a meeting on 25th January, 2019 and took stock of the state of the economy. The Council endorsed that the macro-economic fundamentals of the economy are sound, but challenged remain, several of which are structural in nature. Nevertheless, India’s growth is expected to be in the 7-7.5% range in the next few years; one of the fastest in the world. However, with reforms designed to address the structural problems, growth rates can easily be enhanced by at least 1%. The World Trade Organization (WTO) chief Roberto Azevedo has warned that the global trading system is heading for what he called dark ages if urgent steps are not taken. Speaking at a meeting in World Economic Forum in Davos, he urged the world leaders to hammer out a multi lateral trading agreement. The WTO chief's warning came as the world leaders were debating on emerging threats to international trading systems amid a growing clamour in several countries for inward looking policies. Mr Azevedo said, the challenges are bigger than ever before. Mr Azevedo asserted that the multilateral trading system is viable. He said that the system has to respond to global reality and world changing faster than ever before. The IMF has also said that the ongoing trade war between the US and China is hurting global growth. Besides China's economy grew at its slowest place since 1990 in the last quarter of 2018. India today said, it is closely following the emerging situation in Venezuela. In reply to a media query, External Affairs Ministry spokesperson Raveesh Kumar said, India is of the view that it is for the people of Venezuela to find political solution to resolve their differences through constructive dialogue and discussion without resorting to violence. He said, India believes that democracy, peace and security in Venezuela are of paramount importance for the progress and prosperity of the people of Venezuela. India and Venezuela enjoy close and cordial relations. Indian response highlights that political change in the country is an internal process meant for the Venezuelan people who are dealing with spiralling inflation and political issues. The situation in Venezuela hit the headlines after the US President Donald Trump and several Latin American nations including Brazil extended open support to the opposition leader Juan Guaido as the interim president and asked for an end to the rule of President Nicolas Maduro. Mr Maduro however received prompt support from international leaders like Vladimir Putin of Russia and China’s Xi Jinping. After purification and filtration, that is then turned into a petrol mixture. “We’re actually using the stuff of the wood that they don’t use when they make paper and pulp... It adds value to low-value components of the tree,” he said. Mr.Hulteberg has a pilot plant in operation and hopes the forest fuel will be available in service stations by 2021. Though it will only serve a fraction of the demands of Swedish motorists, he is hopeful that, along with other renewable products, it could help reduce dependence on fossil fuels. In Australian Open Tennis, world Number one Serbian tennis star Novak Djokovic will take on second seed Rafael Nadal of Spain in the Single's finals of tournament on Sunday. In the second semifinals today, Djokovic defeated Lucas Pouille of France 6-0, 6-2,6-2, at Rod Laver Arena in Melbourne. Earlier, Rafael Nadal of Spain ended Greek youngster StefanosTsitsipas' captivating run to reach his fifth Australian Open final.